Taking pictures of insect during all the wintermonths; that should be nice and this spiders is helping me with that goal. 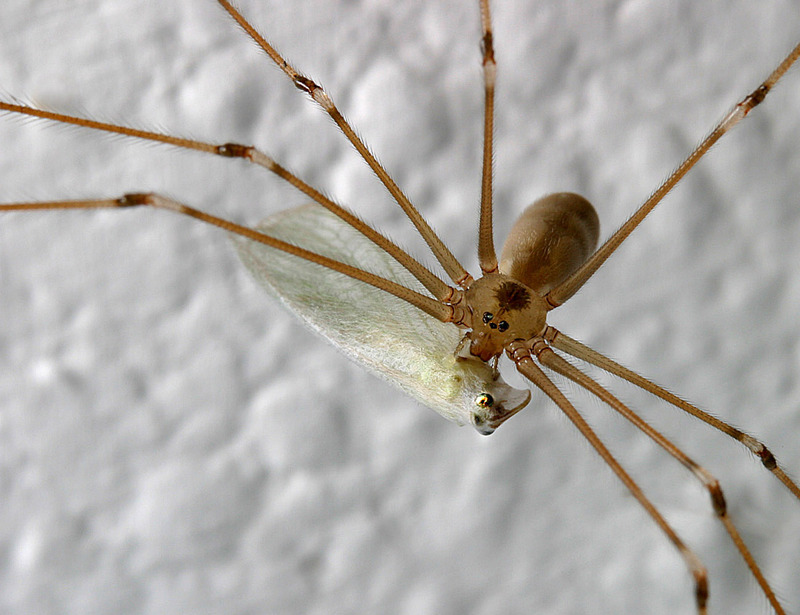 In the bathroom this Daddy-Longlegs Spider Pholcus phalangioides caught a lacewing. After crowling around in the bathtub I got this angle on the spider and his prey; the black-white knies stand out against the white sealing. The green eyes of the lacewing shine trough the spinrag. Unfortunately this insect will not make it trough the winter.